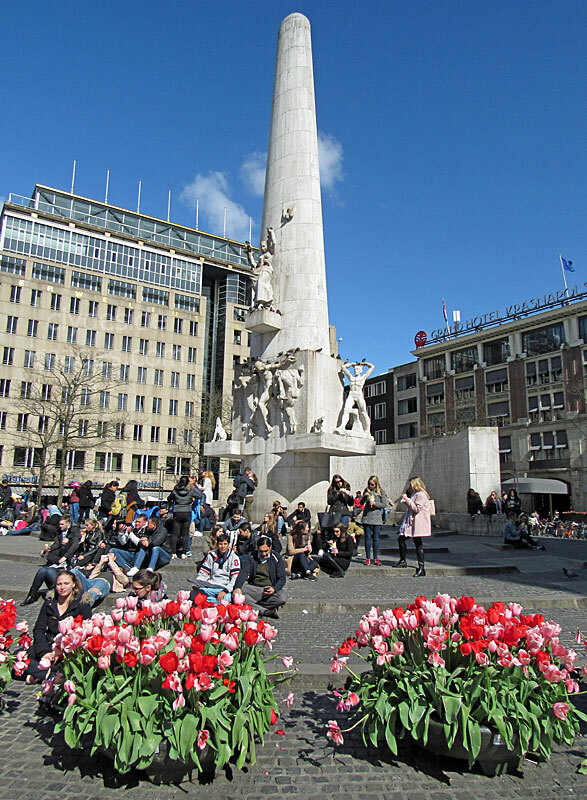 The National Monument on Dam Square was unveiled in 1956 to commemorate the Netherlands`casualties of World War II. Designed by Dutch architect J.J.P. 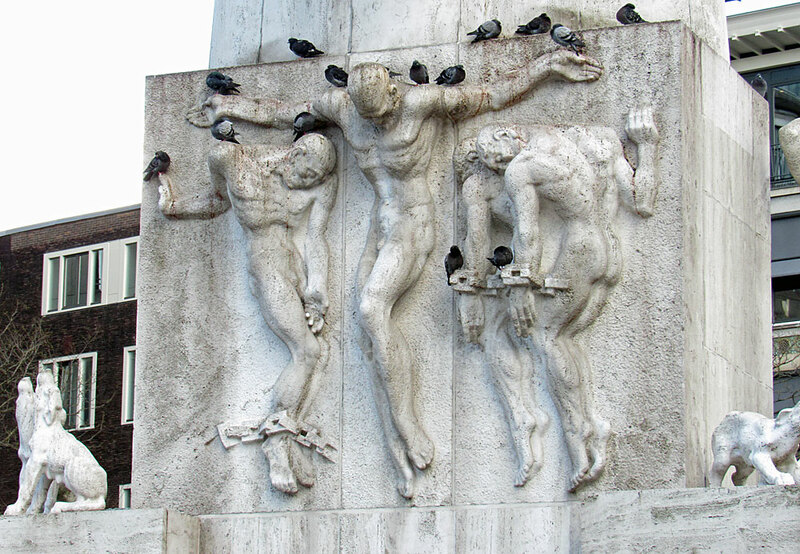 Oud, the monument's sculptures are by John Rädecker and his sons Han and Jan Willem Rädecker. 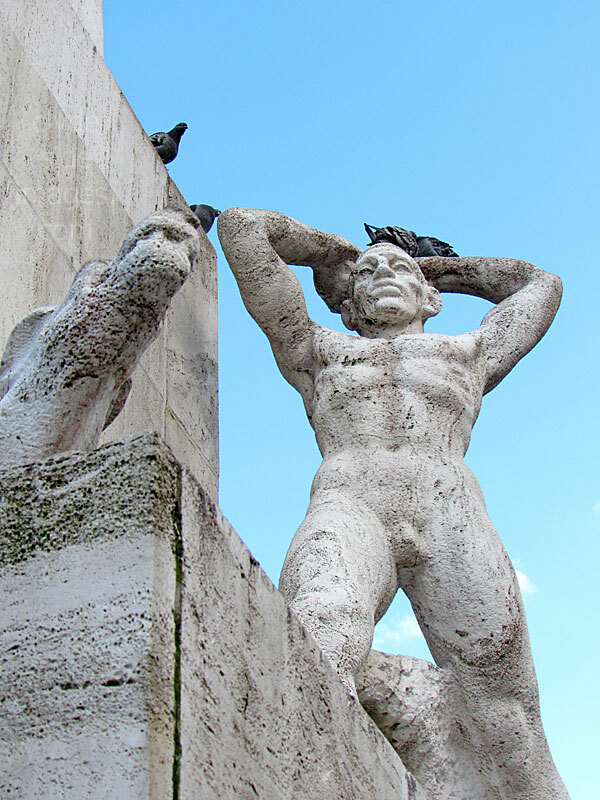 The reliefs are by the sculptor Paul Grégoire. The central element is a concrete conical pillar 22 metres (72 ft) in height, covered entirely by white stone. 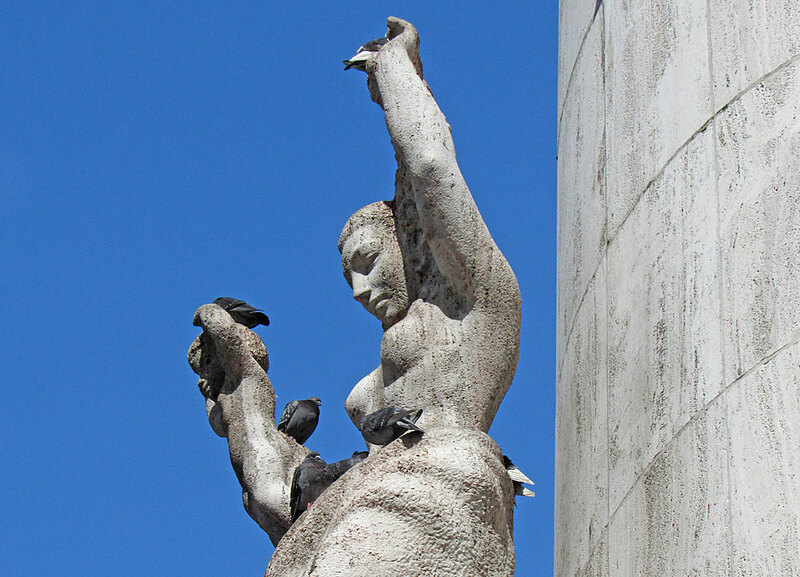 Above the central relief is a sculpture of a woman with a child in her arms and doves flying around her, representing victory, peace, and new life. 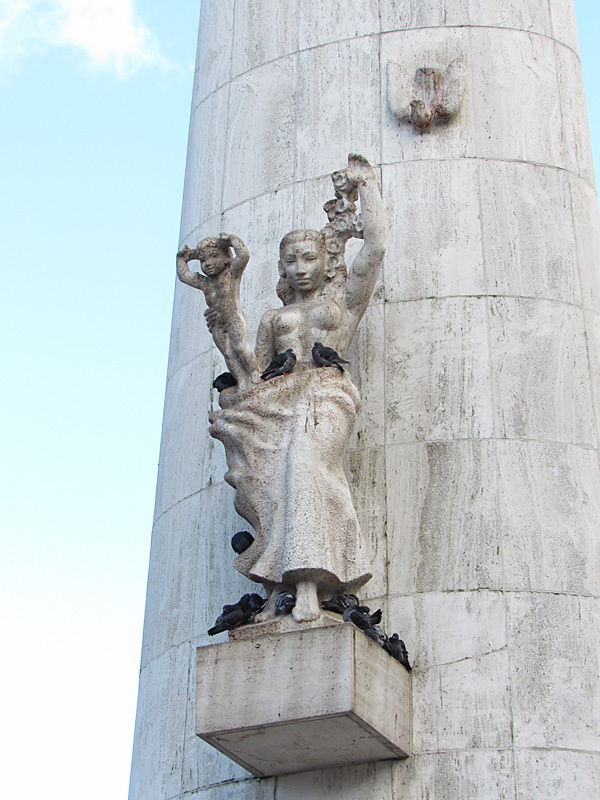 Liberation is symbolised by a relief of ascending doves on the rear aspect of the pillar while the two pedestal-mounted lions represent the Netherlands. The semicircular wall at the rear of the monument contains eleven urns with soil from World War II execution grounds and war cemeteries in each of the Dutch provinces. Three years later, a twelfth urn was added with soil from the Dutch East Indies (present-day Indonesia). 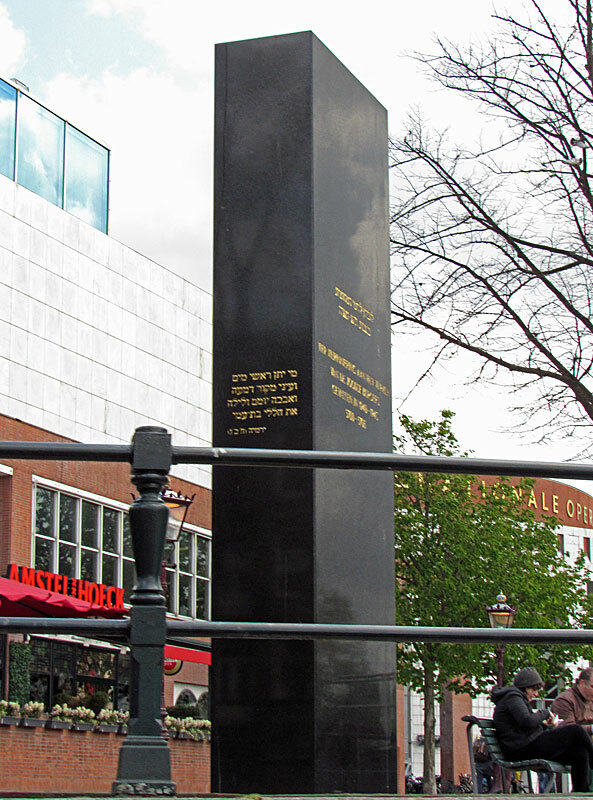 Below: Snapped from a canal boat, this is the Jewish Resistance Monument which stands overlooking the River Amstel at its junction with the Zwanenburgwal canal. 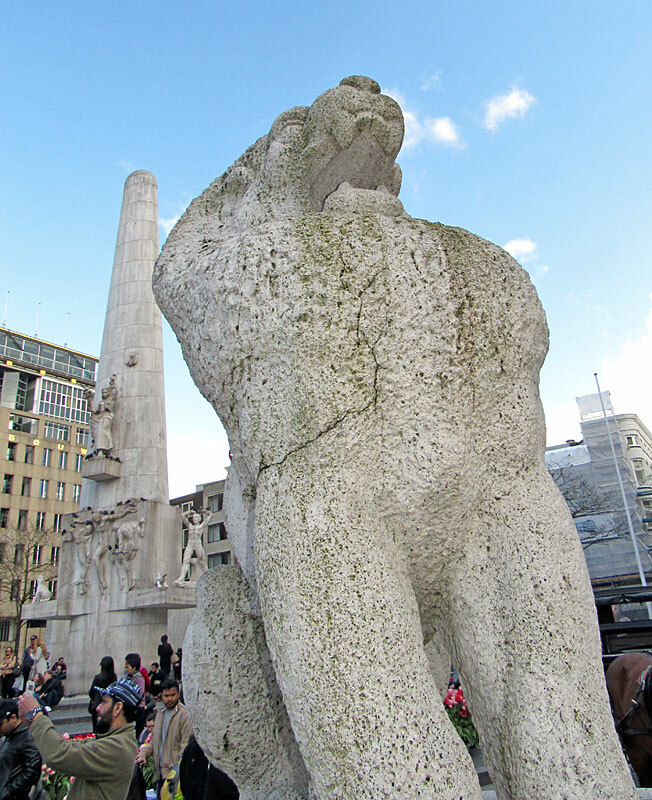 It was created by Belgian sculptor Josef Glatt and unveiled in 1988. 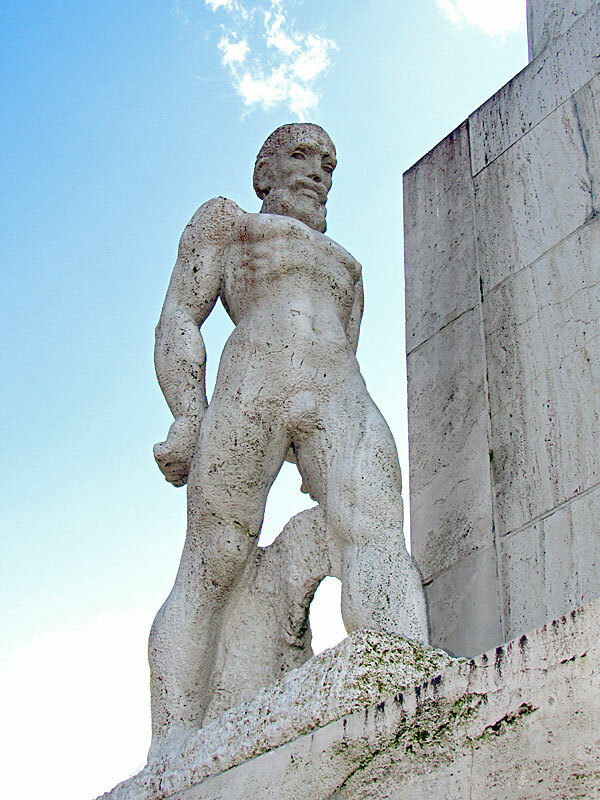 On the side, the text of the prophet Jeremiah laments in Dutch and Hebrew: 'Were my eyes fountains of tears then would I weep day and night for the fallen fighters of my beloved people.' Every year on 8-9 November, on the anniversary of Kristallnacht 1938 (Night of Broken Glass), people gather here to remember when Jews were attacked throughout Nazi Germany. Almost every synagogue was torched and around 7,000 Jewish shops were looted, in addition to other atrocities - around 100 Jews are estimated to have died and in its aftermath, some 30,000 Jewish men were arrested and sent to Nazi concentration camps. 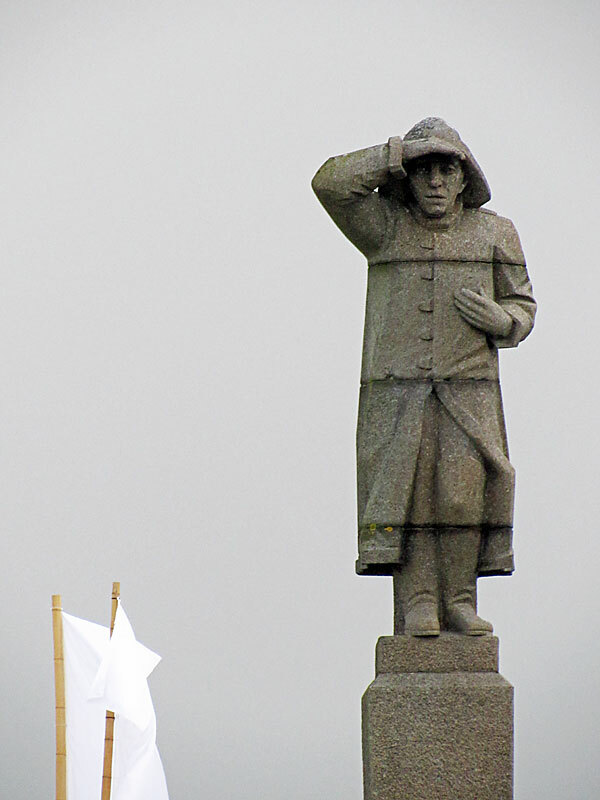 The statue below right commemorates the Dutch merchant seaman who died during the Second World War. 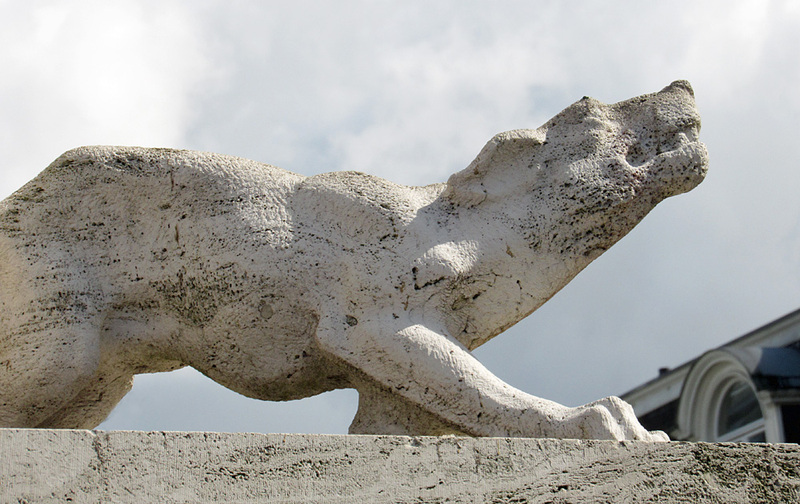 It stands on the banks of the River IJ (pronounced `eye`) just east of Amsterdam`s Central Railway Station.